JHW stocks an extensive selection of granite colours. 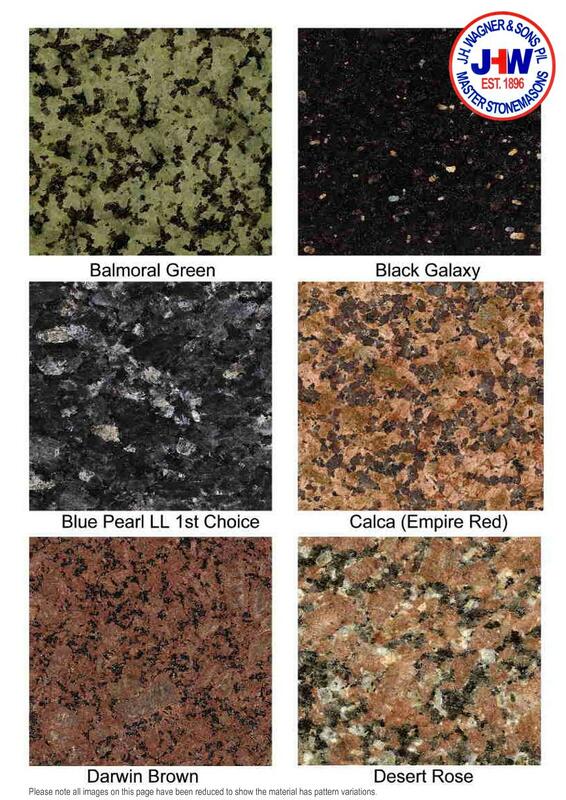 Please view some of our most popular colours ~ so many granite colours we have shown them on seven pages. J.H. Wagner & Sons has an established network of supply from quality granite quarries; if your preferred colour choice is not shown on these pages we can source the colour for you. Our polished surface is extremely durable and suits many applications both internal and external. We also offer other surface finishes including carved, exfoliated / flamed, sandblasted, bright etched, split and chisel finishes.